Optional - You can specify if this gift is designated for a special purpose. Send us a message, we’d love to hear from you! You can also reach us at (385) 220-2624 . 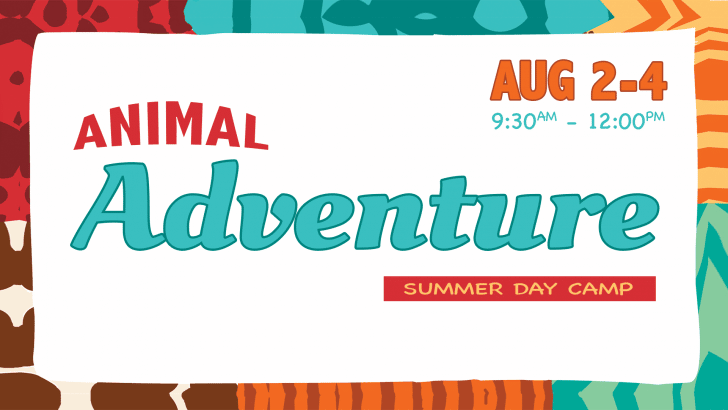 Animal Adventure is an exciting three-day Summer Day Camp for kids ranging in ages from 4 years to 6th grade. Activities include music, crafts, games and animal stories from the Scriptures. The program begins at 9:30 AM and will conclude each day at noon with a lunch meal for the entire family. The Day Camp will be held at Canyon View Park in the Lions Pavilion. Register today! Free lunch provided each day for the whole family! Please list all food allergies and special needs for this child. Thanks! © 2019 Utah Valley Church. All rights reserved.